Since 1995, Delta Technology Inc. has provided innovative products and new technology for consumers and leading manufacturers across the USA. We are the fastest growing provider of portable oxygen products in the United States. Our oxygen systems are leading the industry for quality, value and performance. We are helping to improve and save lives by making our oxygen systems available and affordable to everyone. Travel-Air TM Portable Travel Oxygen Systems will return freedom to people who are restricted by the need for supplemental oxygen. 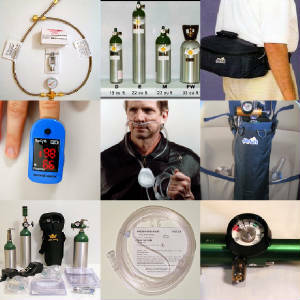 Our small, efficient, compressed oxygen units are easy to operate, lightweight, and comfortable to carry in a shoulder bag that converts to a fanny pack. The systems weigh from 3 to 5 pounds and deliver oxygen for up to 8 hours of oxygen from one cylinder. Also available in 15 CF and 24 CF sizes with push carts for personal use as well as for dental and doctor offices. 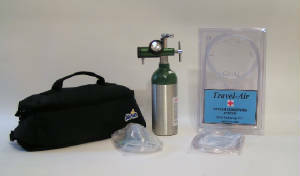 Find our Travel-Air Portable Oxygen Systems online at www.DeltaOxygenSolutions.com. Air-King TM portable Aviation Oxygen Systems offer pilots of small aircraft a convenient, safe and economical way to enjoy the benefits of supplemental oxygen while flying above 10,000 ft. Carry-on oxygen systems allow pilots to fly above bad weather or high terrain while avoiding symptoms of oxygen deprivation (hypoxia) experienced at high altitudes. Our systems are used as backup emergency oxygen for built-in systems and by medical air transport units for patient safety and comfort. Find our Air-King Aviation Oxygen Systems online at www.DeltaOxygenSystems.com. Res-Q-Air TM Portable Emergency Oxygen Systems are used in homes, offices, in public facilities, anywhere a medical emergency could occur. These systems provide immediate life saving oxygen when precious minutes count. 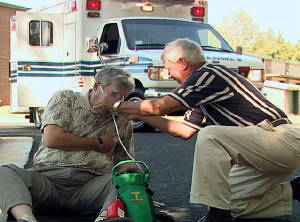 Systems include a training DVD explaining the fundamentals of emergency oxygen use and care of a portable oxygen system. Res-Q-Air provides life-saving oxygen in a medical emergency such as a heart attack or allergic reaction. Res-Q-Air units are used around swimming pools, on boats, and by Life Guards on public beaches to provide oxygen in an emergency until EMS personnel arrive. 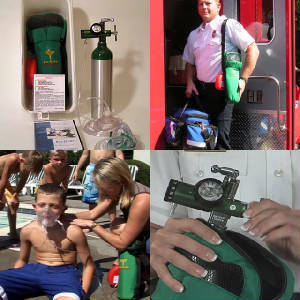 Find our Res-Q-Air Emergency Oxygen Systems online at www.DeltaOxygenSolutions.com.